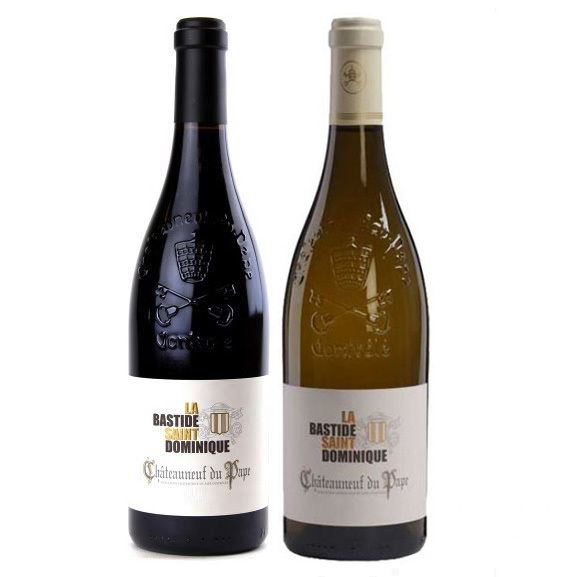 Wine from france is the standard by witch other wines are meshiered so you need to try the Chateauneuf-de-Pape from La Bastide St Dominique, it come in the wite and red. Why not add a gift box and send it as a gift? Intense ruby wine with purple tints. Very intense nose of jammy red fruits, kirsch liqueur and black berries. Elegant nose of pear, apricot and hawthorn, which opens on aniseed notes.